Kim Jong-hyun (April 8, 1990 – December 18, 2017), better known mononymously as Jonghyun, was a South Korean singer-songwriter, radio host, and author. He was a vocalist of the South Korean Boy band Shinee, and participated in S.M. Entertainment's project group S.M. The Ballad. 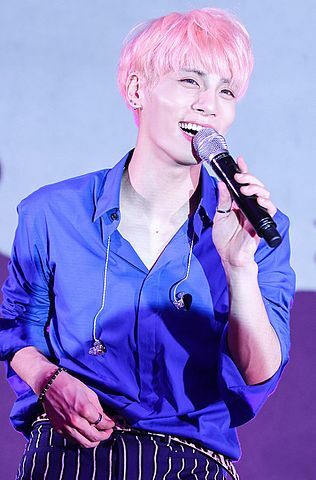 Jonghyun debuted as a solo artist on January 12, 2015, with the EP Base. September 17 the same year, Jonghyun released a compilation album, Story Op.1. On May 24, 2016, Jonghyun released his first studio album, She Is, followed by his second compilation album, Story Op.2 on April 24, 2017.